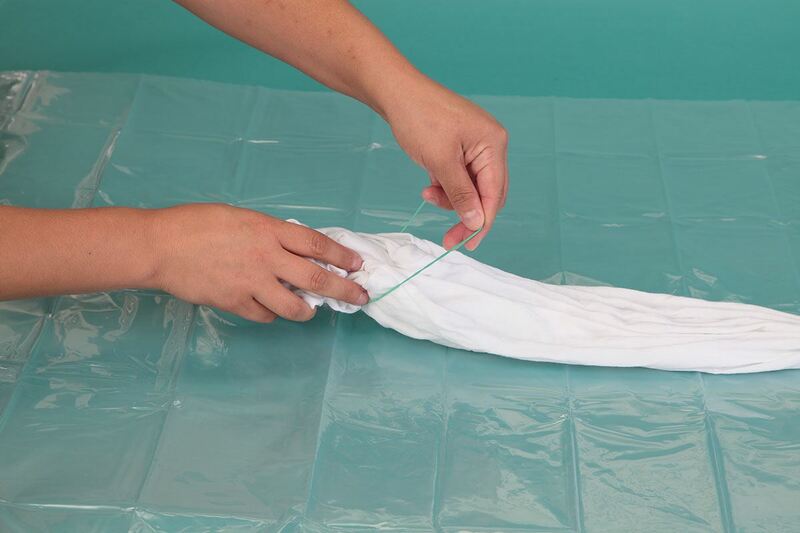 Scrunch damp T-shirt into a tube shape and wrap a rubber band around T-shirt about a third of the way down from the top of the shirt. 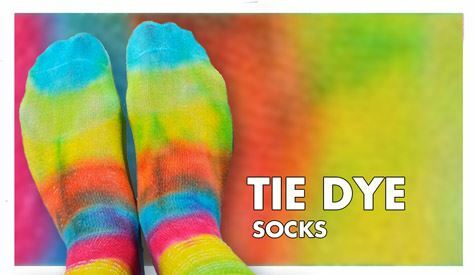 Repeat on the bottom third. 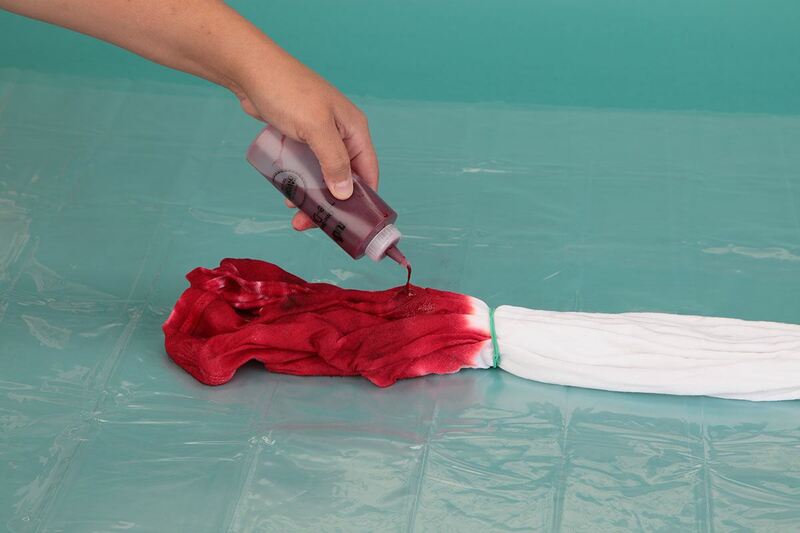 Add red dye to the top third of shirt above the rubber band. 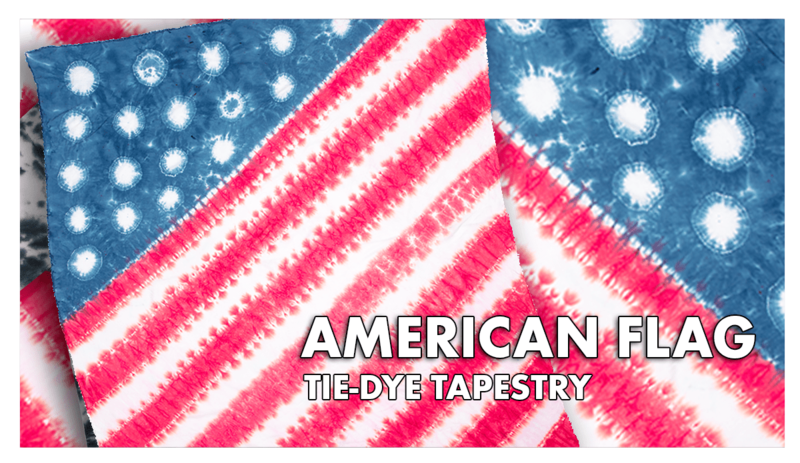 Add blue dye onto the bottom third of shirt below the rubber band. 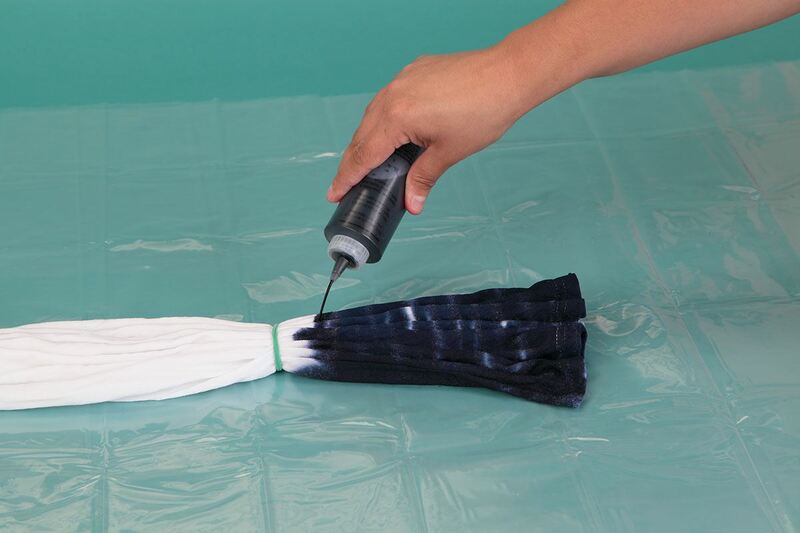 Wrap with plastic and let set, then launder according to dye instructions. 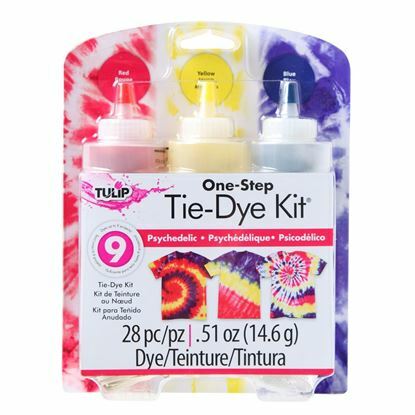 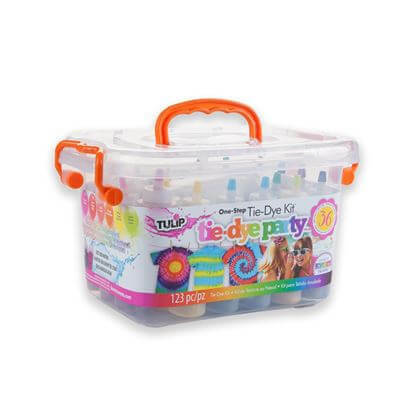 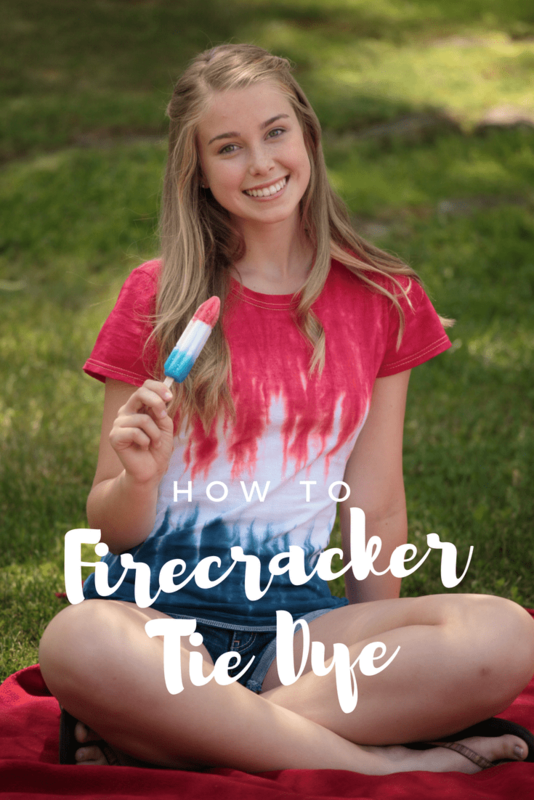 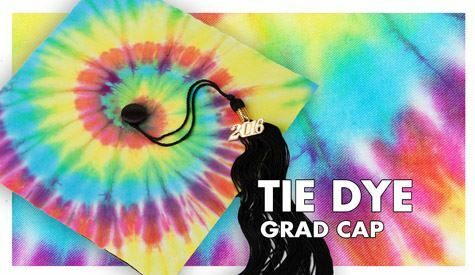 Get your Tie-Dye Kit and get started! 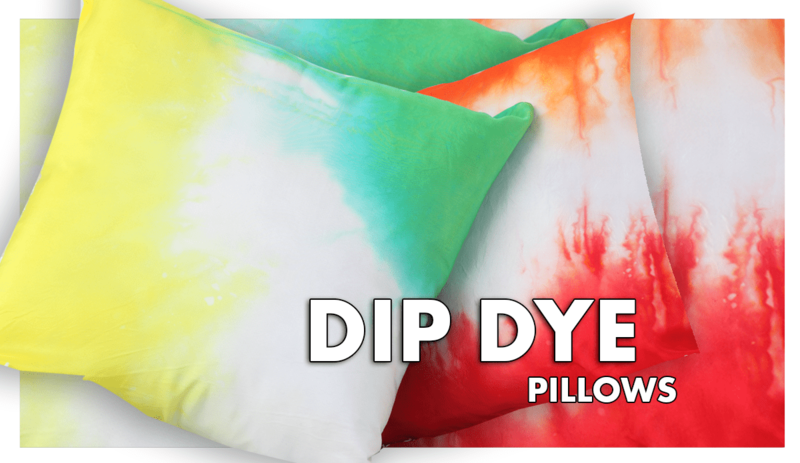 Bold shades of red, yellow and blue tie dye - just add water!